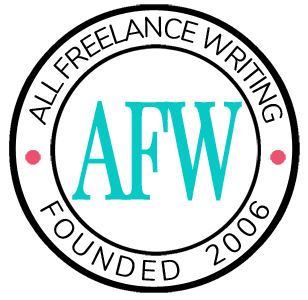 Very little hurts a freelance writing business as much as poor productivity. For example, if you feel too overwhelmed with client work, you might run out of time to seek out new clients (leading to a later lack of work). Or you might get so caught up in writing that you neglect important administrative duties. Or you might just work so many hours that you push yourself to burn out. I used to fall into that last group. I'd work 60 to 80 hours a week early on in my writing and PR consulting business. And the work I loved started to turn into something I hated. By the time Monday mornings would roll around, I was just starting to relax from the weekend. And then it was back to the daily grind. It was no way to live. There was an important lesson I had to learn the hard way -- productivity is king when you're your own boss. There's no one there to ride you when things aren't getting done. I worked hard to increase my productivity and more than double the amount of work I could get done in a day. The result? I stopped working 60+ hour weeks. I started working only four days per week, taking off every Friday so I had plenty of time to unwind. And in my 28 working hours per week, I got far more work done and I made more money. Best of all, I started to love my work again. That's not to say I never slip. When other things monopolize my time, I still get behind on work projects (like the last couple of months when I was settling into my new place and trying to plan a wedding). Now I'm getting back to normal and the weight is finally starting to lift again. I just had to get back to the fundamentals that helped me increase my productivity in the first place so I could get more done and stress less. You can do that too! If you're feeling overwhelmed trying to run a successful freelance business, or you just don't feel like you have the time to do what you need to do in order to grow, try these tips. They're some of my favorite tactics for increasing productivity and getting much more done every day. I'm a huge fan of to-do lists. I keep both a daily one and a weekly one, and calendars help if I have monthly deadlines to keep track of. There's just something about checking off completed tasks that motivates me to get things done. I keep hard copy lists for this very reason (on various sized index cards). You can use those, paper, a white board, your smartphone, or a computer document. Do whatever works for you. I run a lot of websites, and that means there are a lot of administrative tasks to deal with. They don't take long, as long as I streamline them. For example, I open a bunch of blog admin windows at the same time. Then I go to each tab and eliminate spam comments and approve valid ones. Then I run any plugin or WordPress updates that have to be run. Rather than doing all of this for each site separately, I do one task at a time for the whole bunch. The process is faster, because I don't have to change the thought process as often. See if there are things you can streamline. When I'm really feeling unmotivated, I try to make work feel more like a time management game. You can too. Race the clock by setting a timer (I use the one at e.ggtimer.com). You can set it for any period you want. Personally I do best using the Pomodoro technique -- 25 minutes working, then a five minute break (and longer breaks between every four-session block). You might just be amazed at how much you can get done in 25 minutes when you fully focus on the task at hand. Can't do it all yourself anymore? Then it's time to outsource. I'm a big fan of the DIY approach. But sometimes it just isn't feasible. Spending money to hire help can leave you with more time to do the real income-generating work (meaning even though you spend more, you still make more). For example, you might outsource your blog comment management, your social media promotion, market research tasks, email marketing, proofreading, or website administration. Clutter can involve more than a messy desk (which itself can be a productivity killer -- and which I'm sometimes guilty of myself). You might also have a problem with virtual clutter -- an unruly inbox, easy access to too many social media sites, or too many blogs in your feed reader. These things become distractions. Find a way to get them under control. For example, you might limit your email to the start and end of your work day. Or you might set aside social media and blog reading time for certain times of the day (even during your Pomodoro breaks if you use the "race the clock" tip above). Sometimes productivity issues stem from a task feeling overwhelming. So we can procrastinate. Try to break things down. For example, I have a weekly blogging contract with one of my regular clients. To think about the work on a weekly basis would make my head spin. So I break his work down on my to-do list into individual posts. I get to check off all the little tasks, which motivates me towards finishing the big one -- the weekly contract. I do similar things with white papers and e-books that I write for clients, breaking them into things like the outline, research period, each section or chapter's draft, and then proofreading for example. This might be the last thing you think you should do if you're trying to get more done in a day. But it's probably the most important tip I can give you. I didn't more than double my output in the past because of all the little tricks I've already mentioned. Oh, they helped. But they would have been useless had I not also gotten more downtime. That was why the four-day work week led to bigger and better things. I got to de-stress in between bouts of work. I wasn't getting that before. And now it's an integral part of every day. If I need a break, I take one. It's better to take a nap for 30 minutes and come back fresh than it is to stare at your screen for an hour because you really don't want to be there. That's not to say you can be undisciplined. You have to have limits. But breaks prevent burn out. And if you let yourself hit that burn out point, you can kiss any semblance of productivity goodbye. What kinds of things have you done to improve your productivity as a freelance writer so you can get more done every day? What's worked the best and what didn't work for you? If you tried any of these things in particular, how did it go? Share your thoughts in the comments. I use a lot of these ideas (love, love, LOVE Pomodoro), but what finally helped me get my productivity issues resolved was discovering that I have ADD. My distractibility was killing me. I’m on medication now and my work and productivity have both improved greatly (and not in a crazy shine the floor at 3 in the morning type of way that I was afraid of). Not saying go take drugs, but food for thought for anyone who has ongoing problems with productivity and distraction. I’ve got similar issues to Amelia, above, and that’s the first time I’ve admitted it in “public.” My brain works in a very certain, specific way, and I’ve had 30-odd years to harness it and learn from it. And I have. But part of that has been admitting my weaknesses and then finding solutions to those weaknesses. And sometimes there are substances that can help with that (adding OR subtracting substances like medication or the wrong foods) and sometimes there’s no other answer but to push through and make your brain work FOR you instead of against you. ADD or not, we all have weaknesses. And you’re absolutely right in that we have to admit them and find ways to move past them. Congratulations for being able to take control and, like Amelia, find out what works for you. And great point about it going beyond medication to other things we put in our bodies. I’ve noticed drastic changes from a number of things (skipping my coffee, not getting enough fluids in general, too much sugar, eating at the wrong times, etc.). It’s amazing how even the little things can affect us so much. I finally realized that I need to take breaks throughout the day. I also need to stretch; sometimes I go for a walk. This helps me to stay focused and on track. I also learned to scale back on checking my email. I noticed I was getting distracted by this and social media. I now check my email and social media sites at certain times. Another distraction is having people at home. I have to ‘gently’ set my boundaries and remind people that I’m working. This can be tricky, especially when there are teens in the home whose parents (my sister) are getting a divorce. It’s a touchy time, but I need to complete my work. I take breaks around the time my niece (home from college) gets up and my nephew comes home from school. I can spend time with them. I’m with you on having others at home. My hubby probably thinks I’m crazy. But when he’s here, I find it incredibly difficult to work. He doesn’t even have to be near me. Just knowing someone’s home makes me feel like I’m not at work for some reason. But it sounds like you’ve found some great balance. I hope I’m able to do the same when the situation requires it. “Race the clock”…lol. Fully agree with the task list and de-cluttering, sort of like starting fresh with a purpose, ready to go. Starting fresh is exactly how it feels when I clean my office before the start of a new work week. How it looks often directly affects how my work week turns out. As for racing the clock, the trick is to find a balance between working faster through better focus and rushing your work. The latter is never a good idea. The other big productivity move for me would seem counterintuitive – I take a 5-6 mile walk every day (with rare exceptions for weather, etc.) I get my best ideas while walking & always come back energized. I also stop for lunch every day. I sit down with my Mom. It’s not really long, but it gives me time to re-energize. You would think all that time away from writing is non-productive, but it has the opposite effect. When I don’t take my walk, I’m restless and sluggish. And not stopping for lunch makes me tense. Before I moved to the early morning start time for my work, I used to walk first. And it helped me a lot too. It just doesn’t work for me if I do it in the middle of the work day as opposed to first thing. It sounds like your workout and lunch work a lot like my breaks — gardening, swimming, a nap, or whatever I need to do to unwind. The time away from writing allows me to refresh and give my full attention to my work when I get back to it because I don’t feel like I’d rather be doing something else all the time. Great productivity tips Jennifer, based from your tips I also do some of it on my daily personal routine especially at work. I start the day by creating a to-do list of my entire tasks so that I can effectively determine what tasks should I do and organize it depends on priority. Then, set an estimated amount of time when working on each task. I even set a regular break (in every 2 hours of work I take a 10 minutes break) that keeps me productive in the long run. The key that I can follow scheduled tasks and finish it on time is with self discipline, which also helps me ignore work distractions. Here is the tool that I use personally at work to track time accurately when working on tasks.